Did you tune in to NBC’s This Is Us last week? Randall brings up the Adoption Split. And with this meme I reiterate a remedy I often talk about: openness. 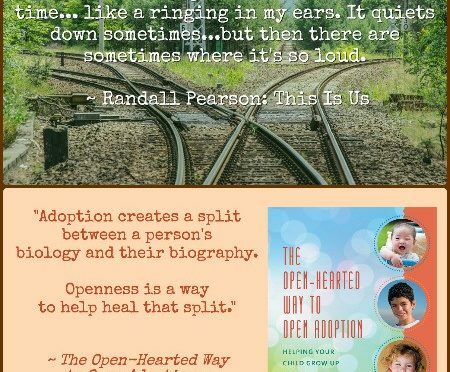 It’s with openness (not necessarily contact) that the grownups in an adoption can help their child integrate and heal. This post is part of #MicroblogMondays. Whazzat? A post that’s not too long. Head to Stirrup Queens to join the fun. Previous Post4 Problems with NBC TODAY Parents Adoption ArticleNext PostHer Son is Only Hers. She Can’t Bear to Think Otherwise. I followed the link for Rebecca and wow. Just wow. And yes to sending the book because the fear that is there about loving someone, raising them in that love only to lose them just makes my heart ache. The idea that by allowing them to explore all of themselves could result in them abandoning you and, thus, must be prevented is a primal one. But also one that has even deeper roots in loss. Your point for openness is spot on. That fear and misunderstanding can result in generational pain is a powerful counter argument for the rational about closed adoptions. It’s not without it’s own challenges, but to see the guilt and shame an adoptee faces out of love for their parents while struggling to know their history is something every parent should strive to rectify. 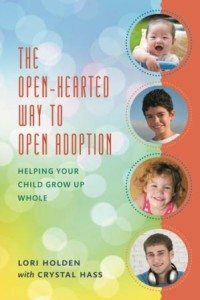 As I’ve read here and there about adoption, I was surprised to learn just how much adoptees think about their birth parents. Of course, it makes sense. 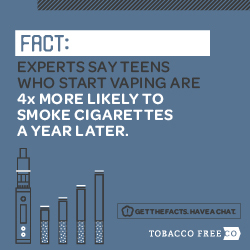 There are just so many misconceptions about the adoption experience. 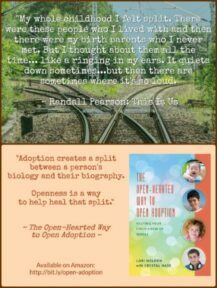 I love reading your blog, because it teaches me more about adoption and openness, and even though we didn’t take this road, I have friends who did, and it helps me understand them a little more. Diarist & open adoption advocate. Chief Civilizer at Tessa & Reed, Assoc. celebrate good times come on! LavenderLuz.com participates in the Amazon Services LLC Associates Program, an affiliate advertising program designed to provide a means for sites to earn advertising fees by advertising and linking to Amazon.com. Such partnerships may serve content and advertisements, collect information directly from visitors, and place or recognize cookies on visitors’ browsers. Contact is easy. 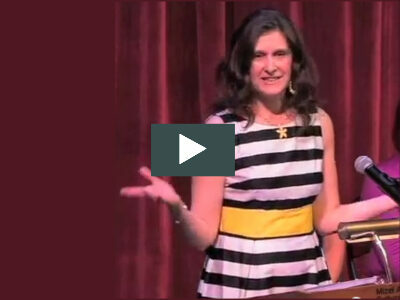 Simply reach me by email for information on workshops, webinars, book signings, media inquiries. This is a personal blog written and edited by me. It accepts forms of advertising and occasionally sponsorship, paid insertions or other forms of compensation. On occasion this blog is compensated to provide opinion on products, services, websites and various other topics. Even though I receive compensation for the occasional post or advertisement, I aim to give my honest opinions or experiences on those topics or products. The views and opinions expressed on this blog are purely mine. Any product claim, statistic, quote or other representation about a product or service should be verified with the manufacturer, provider or party in question. Copyright © Lori Holden 2007 – 2019. Content protected by applicable copyright laws. All rights are reserved by the author.